On Saturday, April 13, 2019 Parkinson Canada, Atlantic invites you to Mind Over Matter, the 6th Annual Education & Awareness Conference. This is Parkinson Canada’s premier conference event of the year for the Atlantic Provinces. Together, let’s learn, ask questions and share a unique experience with many other Parkinson minded participants. This event will be highly interactive enabling Parkinson’s disease Subject Matter Experts to present individually to each table of delegates in rotation throughout the course of the day. This year’s Mind Over Matter Conference will be held at the Westin Nova Scotian. Located in the historic and vibrant Seaport District, in the heart of downtown Halifax and just steps away from restaurants, shopping, and entertainment, this landmark hotel overlooks the Halifax Harbour. The hotel has mobility access, complimentary parking. Complimentary bus transportation has been generously sponsored by Coach Atlantic. To book your seats, phone the Call Centre at 1-800-575-1807. Please use the coupon code PARK2019 when making your reservation. If you require overnight accommodation we have a special conference rate at the Westin Nova Scotian of $149 per night. 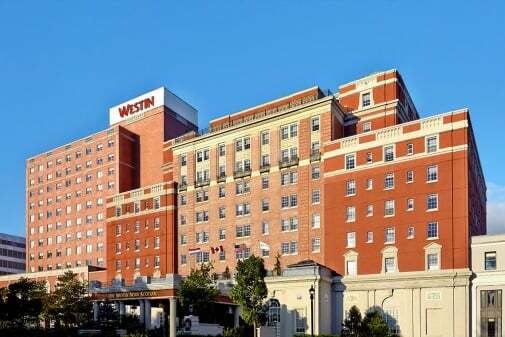 Please Click Here to book or give the Westin a call directly (902) 421-1000 and Identify that you’re attending the Parkinson Canada Conference. Information on the Keynote Speakers will be updated at a later date.